• In a cohort analysis of suicides recorded in England and Wales from 1921 to 1980, there was no discernible trend across the younger cohorts, but there was a fall in the suicide rates of successive older cohorts over this period. The impact of period events (eg, World War II and the detoxification of domestic gas) is demonstrated in these cohorts. In addition to the period effects, there was evidence of a more prolonged cohort effect on suicide rates of the middle-aged and elderly associated with these events. 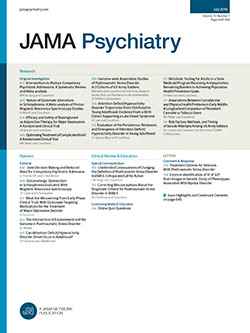 Little relationship was found between early and later suicide rates within cohorts, casting doubt on the usefulness of predicting the future rates of cohorts from their early behavior.